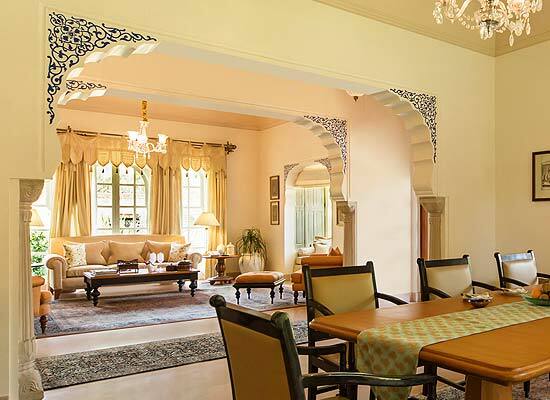 "Tourists who flourish the town of Jaipur almost every day often chose Oberoi Raj Vilas for their accommodations. At a short distance from the airport and railways station, the heritage style hotel in Jaipur is an idyllic retreat. The hotel is designed to evoke a sense of the vibrancy and royal setting of Rajasthan. Oberoi Raj Vilas is known for housing 280-year-old Shiva temple along with an ancient Rajasthani Haveli in the hotel premises. The hotel is constructed using authentic features of a Rajasthani fort. On the walls of the hotel, chunks of old armory are hung which fascinates one and all. The beautiful interiors are designed by Mr. Ghanshem Nimbark while the modern frescoes are works of popular Indian artist, Mr. Parikh Maity. 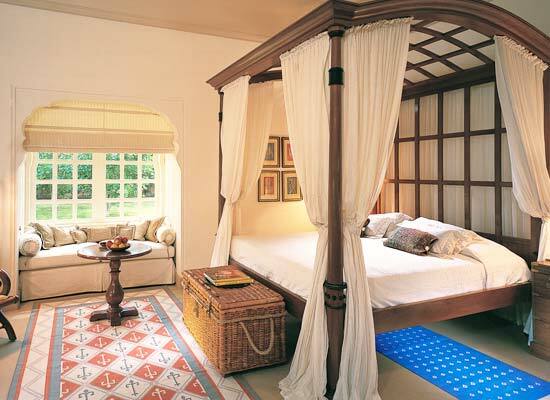 Premier Rooms: These spacious rooms offer gorgeous views of the gardens. Luxury Tents: The experience of stay in Royal Air-conditioned tents is an experience one is not likely to forget till eternity. 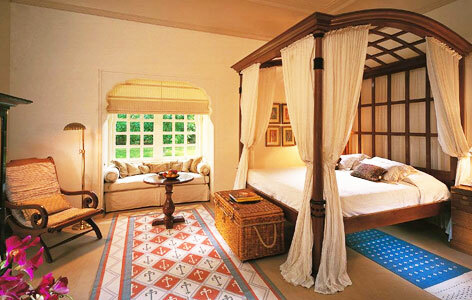 Royal Tent: These tent rooms provide opulent and spacious space for stay and set the tone for a royal living. Luxury Villa with Private Pool: With Private pool and luxurious amenities, these rooms are designed for an ideal family stay. Kohinoor Villa with Private Pool: The décor of these rooms are romanticized to provide a royal welcome to the honeymooners. Surya Mahal: Tourists enjoy the taste of International cuisines that are served here while enjoying the music being played in the background. 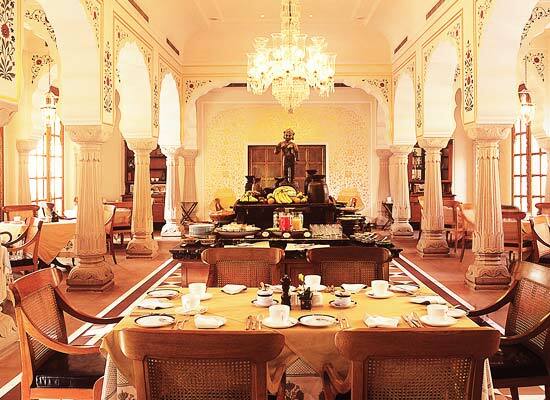 Raj Mahal: The Indian cuisine restaurant in this heritage style hotel of India is one of the best in Rajasthan. Rajwada Library Bar: Tourists love coming here to enjoy some of the most exotic wines and liquors. Popularly called as the “The Pink City’ of India, Jaipur is a major tourist attraction because of its intriguing history. Maharaja Jai Singh II founded the Majestic city in the year 1727. In the vibrant city, the festivity never ends and perhaps this is why tourists love coming here often and again on regular intervals. On a visit to Jaipur, one must try delicious Rajasthani cuisines to have the best culinary delights they ever tasted.